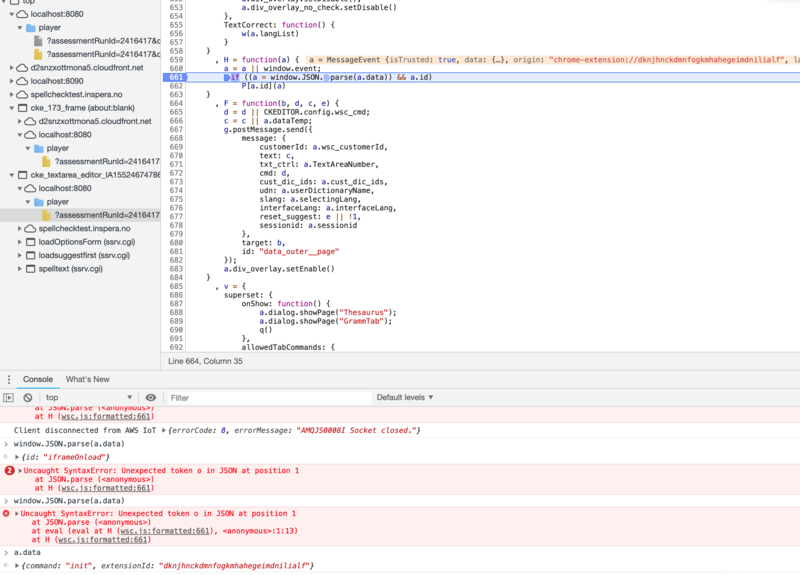 We use webspellchecker in a web application running in a chrome extension, and we noticed we got a ton of errors from Chrome OS reported in trackjs from wsc.js in CKeditor. We have made a Chrome OS app that runs our exam system and then also CKEditor. Checked latest version 4.11.3 and get the same error there. We will review the information about your issue and get back to you with our comments shortly. @jarlep, we will add this small enhancement as a part of our next release 5.4.0. ETA: end of March, beginning of April 2019.